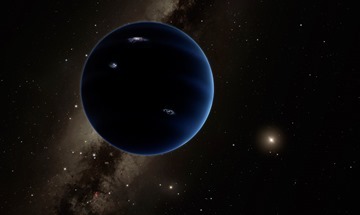 The Search for Planet Nine: Is Planet Nine just a ring of icy bodies? I would fancy a link to 1) the article by yours (direct link) and 2) a link to the alternative explanation featuring the ring of bodies. Can you provide these please? That wouldn't work, as the mass wouldn't fit. 10 Earth masses was the original average estimate, but newer works appear to show it's a bit less massive. But even for a brown dwarf, you'd need more than 10 JUPITER masses. And for a star to have already completed its fusion, it would have to originally have been at least a G star, which have lifetimes of billions of years and are not much less massive than the Sun. So at 5 Earth masses a Super-Earth would be likely, while at 10 Earth masses an ice giant like Neptune would be likely. What about this unlikely idea? 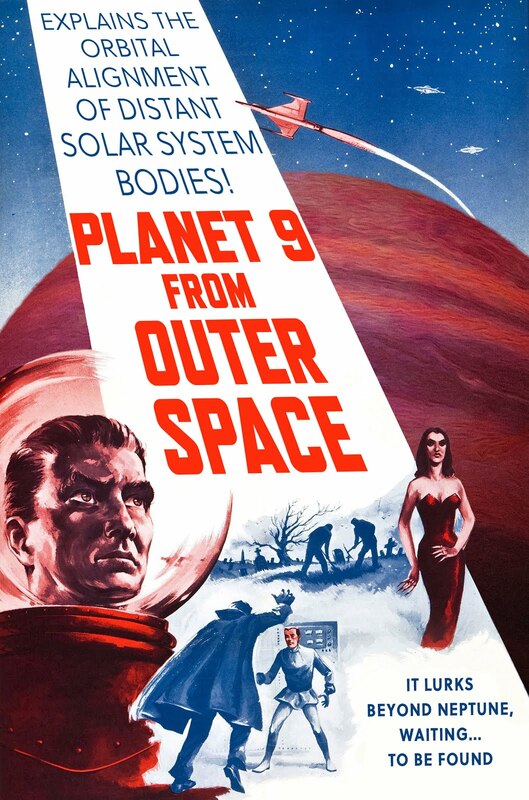 There was a Planet 9, but it was ejected from the solar system a few million years ago in a close encounter with another star. How long would it take for the effects of its presence to fade? I did not recognize that the new proposed hypothesis was consistent with the PN orbit tilt, but it seems sensible. If so, and the influences are mainly secular, it could explain as much of our system (including planet orbit tilts et cetera). Only it uses twice as much mass and it looks like an unlikely prior to put them there. This: "a ring of bodies is significantly easier to find than a single planet." I would love to know why! The new paper is all what one could wish for (except that there may more bodies to add to the evidence piles by now - AFAIK one more eccentric TNO consistent with the earlier ones was officially suggested a few weeks ago). If its a ring they should be able to point the telescope anywhere along the ring and spot one of the objects, assuming they are big enough and close enough. ...unless there is a gap with little mass between the Kuiper belt and the ring or the objects have a different size distribution with most of mass in objects too small to detect. Thinking some more about that, the planetesimal disk that was originally inside 30 AU before the giant planets migrated is thought to have contained at least a thousand plutos. If the ring they were proposing had as similar size distribution one of the searches for Planet Nine would have been able to spot one of them out to at least 300 AU, Pluto would have a magnitude of ~23.5 at that distance, and possibly farther. Planetesimal disks have been modeled and fail beyond pebble size. Planets form as Herbig-Haro objects where electrical currents fuse bodies as they pass through dust clouds. It is highly like;y that Planet Nine was found by IRAS and was at or very near IRAS 1732+239. Either it was missed or intentionally suppressed. Brown and Batygin see clustering. I call it pseudoclusterization (in the technical version it is indicated). See the following: 1. Brown and Batygin model (massive body from the outside of the solar system). Perturbing acceleration 1.7 (+/- 0.1) e-13 m / s ^ 2 - the level of the Yarkovsky effect. 2. My model (massive body inside the solar system). Perturbing acceleration 4.03 (+/- 0.1) e-9 m / s ^ 2 (Perturbing acceleration from the displaced part of the Sun (sinusoid) + Massive planet) - the level of the distance from Jupiter to the TNO's(KBO's) of 37.5 AU. Question: What is the best situation to form a cluster? Answer: unconditionally in my model. Next moment. The difference is in the approaches. 1. Brown and Batygin model. Naked statistics, without the conclusion of profile law. The experimental part has a negative result. 2. My model. Dynamics with the conclusion the profile law. The experimental part has a positive result. Theories about remote and massive objects in the solar system are erroneous. In these theories, the laws of physics are not observed. I wonder how a ring of objects can be eccentric !! !